In a post from today titled “Have The Russians Already Quietly Withdrawn All Their Cash From Cyprus?” you really get the sense that the rich will always win and the “Average Joe” will be the one that gets screwed first, middle and last. ZeroHedge.com is a must for anyone who wants to know what really is going on in the world of finance. Remember OWS? How did that change the world? Well it didn’t and the upper powers know that. We may bleat like sheep for a few months about the injustices but ultimately we forget and go back to the mindless reality TV shows. For those of us that don’t forget and learned from this we understand that we cannot change the world no matter how many public parks we take over for a few weeks – we have to adapt our actions to either take advantage of the situation or get out of the way. Yesterday, we first reported on something very disturbing (at least to Cyprus’ citizens): despite the closed banks (which will mostly reopen tomorrow, while the two biggest soon to be liquidated banks Laiki and BoC will be shuttered until Thursday) and the capital controls, the local financial system has been leaking cash. Lots and lots of cash. Alas, we did not have much granularity or details on who or where these illegal transfers were conducted with. Today, courtesy of a follow up by Reuters, we do. The result, at least for Europe, is quite scary because let’s recall that the primary political purpose of destroying the Cyprus financial system was simply to punish and humiliate Russian billionaire oligarchs who held tens of billions in “unsecured” deposits with the island nation’s two biggest banks. As it turns out, these same oligrachs may have used the one week hiatus period of total chaos in the banking system to transfer the bulk of the cash they had deposited with one of the two main Cypriot banks, in the process making the whole punitive point of collapsing the Cyprus financial system entirely moot. Okay so how did the wealthy Russians get their cash out of Cyprus while all the banks are closed? While ordinary Cypriots queued at ATM machines to withdraw a few hundred euros as credit card transactions stopped, other depositors used an array of techniques to access their money. No one knows exactly how much money has left Cyprus’ banks, or where it has gone. The two banks at the centre of the crisis – Cyprus Popular Bank, also known as Laiki, and Bank of Cyprus – have units in London which remained open throughout the week and placed no limits on withdrawals. Bank of Cyprus also owns 80 percent of Russia’s Uniastrum Bank, which put no restrictions on withdrawals in Russia. Russians were among Cypriot banks’ largest depositors. So what have I learned through the whole saga of 2008 leading up to today? As the average Joe you will always be screwed first, you will be lied to by both media and governments and the rich always win. What does that mean as a small business owner? Keep your head down and make sure you don’t have too much cash in the bank. Your Mission is to Know Why Your Organization Exists! Do You Accept? Does Your Company Need A Small Business Loan? Running a taxi business can be a hugely profitable and rewarding job. Being your own boss can be a great way to get out of the grind and become an important service for your local community and beyond. So, if you’re looking at a career as a taxi driver or taxi service owner, let’s look at the steps you need to take. What Kind of Taxi Service Will You Offer? Before you get started, you need to do some research into taxi services and decide what kind of service you want to offer. There are three main types of taxi service in the UK, each offering significantly different things. A public hire taxi is one that can be hailed from the street and carries a lit ‘taxi’ sign when not in use. Public hire cabs include Hackney carriages (London black cabs) and can’t be booked before the journey. Public hire taxis often operate in busy city centres during what can be quite unsociable hours. These are the types of cab you would see picking up patrons on busy weekend evenings. Private hire taxis are pre-booked cars that do not pick up customers from the street. They do not carry a lit ‘taxi’ sign and must be ordered beforehand by phone or online booking. Private hire taxis are often relatively high-end vehicles that operate during more social hours doing journeys like airport pick-ups and sometimes school runs. They are often considered safer to drive due to the nature of their use. TNC (transportation network company) are businesses like Uber and Lyft, whereby driver-partners are linked with customers via an app. It could be counted as a private hire taxi service, however due to its technology, it could be classed as its own type of service as well. These types of companies have become hugely popular in recent times, so it is an option for drivers who do not want to set up their own company but would like to get an idea of what being a taxi driver encompasses. With such a huge market, you need to have an idea of what kind of taxi company you want to be. As a prospective business owner, you should consider how you want your business to operate and what you can offer your customers that makes you stand out. A lot of this will be influenced by the area in which you plan to set up your business. For example, if you are located in an urban area, you may want to set up a minicab company. 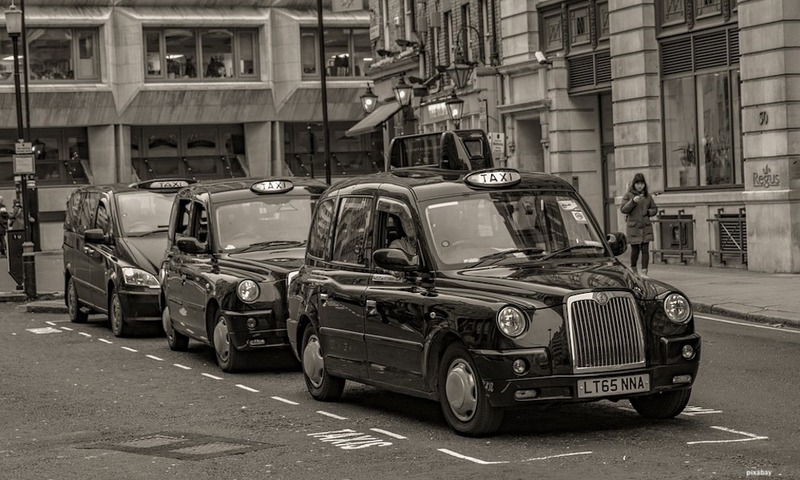 City centre taxi firms can earn a lot of money due to the multitude of potential customers but if you want to work in London as a black cab driver you will need to take a test – known as The Knowledge – to get your taxi licence. Or, you could look at setting up an airport cab company shuttling various people to their flights. For this you would need your PHV (private hire vehicle) license and a good knowledge of the route to and from airports in your area. Other ‘shuttle’ type services include school run taxis, venue shuttles such as to and from sports grounds or music venues. If you want something a bit more relaxing, a local taxi service could be a good choice. The only issue with this is that it can be less lucrative because there will be fewer customers than in urban areas. The most important routes to success lie in the effectiveness of your drivers and the reliability and safety of your vehicles. Choosing the right cars for your taxi company is incredibly important, both in terms of aesthetic and comfort, but also for insurance purposes. Cars in the UK are separated into fifty insurance categories and using cars from the less expensive categories will save you money. Having said that, your customers need to feel safe and comfortable for the duration of their journey, which means you need to think hard about whether you are going to compromise on style. – Is the vehicle reliable? – Is it accessible for disabled people? – How many seats does it have and is this conducive to the type of taxi business you want to run? – Is it more suitable for public or private hire? – Has it been safety tested? – What kind of engine does it have (e.g., petrol, hybrid)? There are some councils that have set rules regarding seat width and engine size, so you need to do your research to ensure you have the right car for your area and business. There are hundreds of taxi insurance brokers in the UK, all offering very different things. When it comes to taxi insurance, it’s imperative you look into comprehensive cover to have full protection. In the UK, all drivers must have at least third party only (TPO) insurance by law. However, this does not offer nearly enough protection for taxi company owners. You will be liable to pay for your own damage in the event of an accident. Not only will your taxi be off the road while it is repaired, costing you valuable income, but the costs of repairs could be significant. Taxi insurance brokers can create comprehensive policies that encompass a wide range of features, including breakdown cover, public liability cover, loss of earnings insurance and replacement vehicle cover. Without insurance, your business can’t operate effectively, and you could end up struggling before you have even gotten off the ground. Taxi companies are part of the fabric of the country, helping people explore, get to work and school, enjoy nights out and more. Working in this industry can be gratifying but be mindful that a lot of research and a great deal of work are needed to be successful. Assisted living facilities come with their challenges. Check out this 10-step guide on how to start an assisted living facility and mitigate risks! There are more than 15,000 assisted living facilities in the U.S.
That number is expected to grow substantially over the course of the next 30 years. By 2050, the elderly population is likely going to top 83 million, which means there is going to be a real need for even more assisted living facilities in different parts of the country. Are you interested in opening one up? If so, take the time to learn how to start an assisted living facility first. It’ll help you bring in more business right away and, more importantly, it’ll set up your facility for long-term success. Here is a 10-step guide on how to start an assisted living facility. The first thing to do when starting an assisted living facility is to come up with a business plan. Without a clear business plan in place, you’re going to be doomed as you move forward with the rest of the steps. In your business plan, lay out where you want to open your assisted living facility, who you want to target with it, and how you’re going to make your assisted living facility successful. If you plan on keeping your assisted living facility small and catering to a small community on your own with a few staff members, note that. If you plan to bring a property management company like Paradigm Senior Living on board to do most of the dirty work after opening your facility, note that, too. Your business plan is what you’re going to use to obtain the proper funding for your facility. So don’t leave any details out, no matter how big or small they might be. Your business plan should be rooted in research you’ve done and provide a blueprint for how you plan to operate once you get everything up and running. Once you have a business plan in place, make time to establish your business as a legal business entity. This will protect you in the event that your assisted living facility ever faces a lawsuit. If you don’t establish a legal business entity prior to opening an assisted living facility, you could be personally liable for any legal issues involving your business. It could bankrupt you and force you to shut down your business, even if things are going well with it. Before you can open up an assisted living facility, you’ll need to register your business so that you can pay state and federal taxes tied to it. This is obviously another very important step in the process. The absolute last thing you want to do is put off paying your taxes and get yourself into hot water with the IRS. Registering your business for tax purposes is simple. But many business owners forget to get around to doing it and pay the price later. Even if, for whatever reason, your business doesn’t start generating money right away, it’s still good to have your affairs in order when it comes to taxes. When you’re first trying to jumpstart an assisted living facility, you might be tempted to mix your personal and business finances. Don’t do this. Although it might be more convenient to use your personal bank account to conduct business on behalf of your assisted living facility, split the two up as soon as possible. Go down to your bank and open a business account for your assisted living facility. A business bank account will help you keep all of your business finances in good order. It’ll also look a lot more professional when you’re paying for services using business checks as opposed to using personal ones. At this point, you’ve laid down a solid foundation for your assisted living facility. You have a business plan in place and have established a legal business entity. You’ve also registered your business for tax purposes and opened up a business bank account. Now, the fun part begins. Start looking around for possible locations for your assisted living facility. That might mean moving into an existing building that has everything you need for your facility, or it might mean building a new facility from scratch. Your finances and any funding you’ve received will dictate what you can buy or build. Whatever the case, choose a property that will allow your assisted living facility to grow over time. 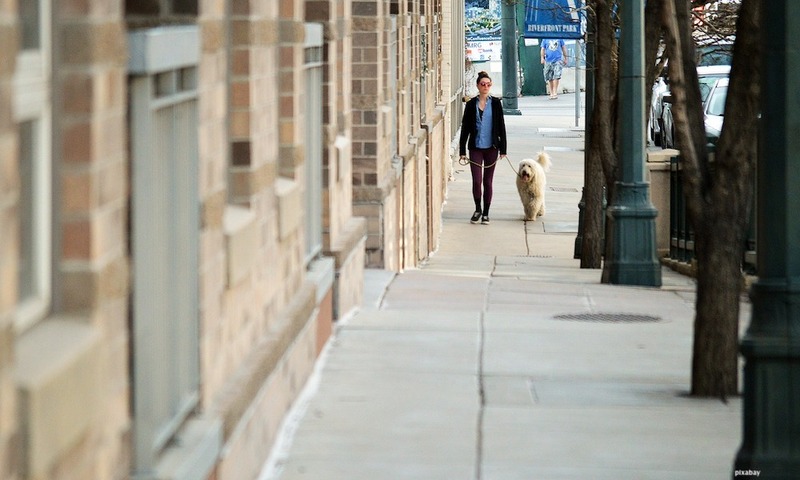 You also want a property that’s conveniently located and that will attract business from a surrounding community. Picking out the perfect location is an important part of giving your business a great chance to survive. To run an assisted living facility, you need to have the proper permits and licenses in place. These permits and licenses are often different in each state and, furthermore, in each city or town. Check with your local city or town to see what kinds of permits and licenses you need to have. If you fail to obtain these permits and licenses, you could potentially face large fines and even risk a shutdown later. If you’re going to open any kind of business, it’s a good idea to obtain business insurance. Business insurance will protect you and your company if an accident ever takes place on your property. Business insurance is especially important for someone opening an assisted living facility since there’s an increased risk associated with starting one. If someone slips and falls in your facility or is injured in an accident, business insurance will protect you. You will, at the very least, be required by law to obtain workers compensation insurance if you plan to hire employees. Do your homework and find out what kind of insurance you’ll need before you open your facility. How are people going to find out about your assisted living facility? More often than not, they’re going to learn about it on the internet. If you don’t have a website set up for your facility, now is the time to get one. Your website should include everything from your location and your contact information to your services and the benefits that come along with sending someone to live at your facility. Consider starting a blog on your website as well that contains useful information on assisted living facilities. Use the latest search engine optimization techniques throughout your site to generate more traffic and keep people coming back. In addition to setting up a website to generate business, find other ways to market your services to the local community, too. Commit to doing whatever you can do to get the name of your assisted living facility out there into the world. People will begin to take notice when you find different ways to appeal to them. You can follow all the other steps listed here and open up an assisted living facility in your community to much fanfare. But if you don’t have the best staff in the business working at your facility, it might not even matter. People want to know their loved ones will be taken care of at your facility. So you need to hire the best staff to work at it and keep your staff happy once your facility opens. Registered nurses and certified nursing assistants will obviously be some of your first hires. These employees will be in charge of providing care to the people who move into your assisted living facility. Without the right employees, your assisted living facility might not stick around for very long. Don’t underestimate the importance of hiring the right people to work for you. Now that you know how to start an assisted living facility, it’s time for you to get to work. From coming up with a foolproof business plan to hiring experienced employees to work in your facility, you can open a successful assisted living facility if you take the right steps. Stay patient and avoid getting ahead of yourself, and your facility will be up and running in no time. Read our blog for more advice on starting a business. The question for all small business owners ask is: What Are My Accounting Responsibilities? If you are considering or have already made a limited company formation in the UK you are no doubt aware that you have a legal responsibility to submit your annual accounts to the Inland Revenue. The best course of action however, is to pass this crucial duty on to an experienced accountant, who can do this on your behalf. It is not uncommon for some small business owners to go against the idea of instructing an accountant, particularly in the early stages. And there is also a percentage of company directors who feel that the only purpose accountants serve is to fill in tax forms. Yet the fact of the matter, is that if you instruct a competent accountant, he or she will save you money, time, and stress. Most people shy away from the thought of having to plow their way through a huge amount of paperwork and countless receipts – not to mention having to look at and work out complicated tax structures and calculations, all of which have to be conducted correctly and in adherence with the Inland Revenue regulations. Doing your annual accounts is fine if you are experienced in book keeping or accounting and are just operating as a sole trader. In the case of the latter, the procedure is very simple. Conversely, you have an LLP (limited liability partnership), or limited company, then your filing and accounting procedures are more complex. 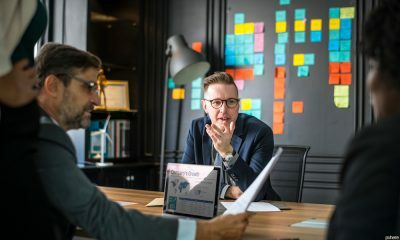 To that end, as a company director, you have to be fully confident that you can undertake this obligation, as if you are not, then you could be faced with having to pay stiff penalties. In the case of a limited company formation, there must be a completely accurate record of all income going into the business, receipts for all expenses; and a fully disclosed record of all liabilities and assets which should be easily traceable. The company’s yearly accounts have to be what is considered ‘true and fair,’ and you must maintain all your financial records for at least 6 years from the related accounting period’s end. The above records are needed for the preparation of a yearly accounts, filing tax returns for the company, and paying corporation tax on all income classed as taxable income. Further, your company will need to file a VAT return and pay quarterly VAT bills, if your annual income is in excess of £85,000 (pertaining to tax years 2017 to 2018, 2018 to 2019, and 2019 to 2020). Unless your company is eligible for an audit exemption, you will need to file an Auditor’s Report. You will however, only need to provide shortened accounts (notes and a balance sheet) for Companies House, if your company’s income is under £6.5 million per annum. It is nonetheless, mandatory to provide complete statutory accounts for the Inland Revenue and shareholders. If your company is not active, then it is still a legal requirement to prepare your accounts for Companies House (this should comprise notes and a statement of the balance of funds). It is not necessary to file accounts with HMRC unless a company becomes inactive after a period of activity. You will need to file your company’s tax returns and pay corporate tax at the time of your accounting period. This normally starts when your business activities begin and finishes on the company’s anniversary date. Filing must be done within a twelve-month period after your company’s financial year ends. The Inland revenue necessitates that this is done online. You also have to ensure that you submit form CT600, your complete statutory accounts, and corporate tax calculations. Other data that must be provided includes: loans that have been taken out, assets that have made gains, any losses that you want to include from the former tax year, and any data regarding capital allowances. The corporation tax deadline stands at 9 months plus 1 day from the end of your company’s financial year, although your tax payment must be submitted prior to filing your tax return. Fines for can range between £150 to £1,500 if you submit your yearly accounts to Companies House late for the first time. If you repeat this the following year, these figures double. And if you do not file on time, and do not ameliorate the situation, then you could face a personal prosecution with a draconian fine of as much as £5,000. Moreover, the Inland Revenue can fine you between £100 to ten percent of the sum owed. If you do this three consecutive times, you will have to pay at least a £500 penalty. Having read about all the complexities, mandatory procedures and unwelcome penalties, you have probably come to the conclusion that finding a suitable accountant, is by far, the best way forward. The first thing to consider is the type of business you operate, and look for a accountant within that field. If they specialise in the same industry, that will be a big plus. Naturally, it would be unwise to contact a large accountancy practice which specialises in big corporations, as not only would it be prohibitively expensive, they would not have expertise in your field. There are many reasonably priced independent accountants whose main filed is helping small businesses. What Qualifications Should the Accountant Have? A lot of accountants offer flexible fee options, so be sure to ask for the list. Also, you should decide whether you prefer to pay an unfixed fee once the accounts are completed, or if you would rather opt for paying a fixed fee every month. Be mindful that pay as you go style services enable you to keep tabs on the services you are being billed for, and that if you’re not monitoring what is being done, the charges can swiftly build up. You will find that most accountants do not charge for a preliminary meeting to discuss your needs and ask questions. Prepare a list of what you want to ask before you go and take along various documents such as a copy of your company registration and bank details. This is a very important meeting, as you may find that you do not have any rapport with the accountant, or that he or she does not fully answer your questions. In which case, you can book a meeting with another one. Bearing in mind that you may be using their services for many years, you want to feel happy about your choice, and able to call upon them whenever you need to. If you find several suitable accountants through internet searches, once you have received details of their fees, and are satisfied with the same, then you could always make appointments with all of them. The choice is yours! Providing a workplace with appropriate PPE will help protect employees from a variety of potential health and safety risks. All workplaces should endeavour to provide clear procedures, training and adequate supervision to improve levels of safety, but there are often still risks or hazards which require a range of PPE. When considering which items of PPE (personal protective equipment) are needed in a workplace, there a number of factors to consider to ensure everyone is adequately protected. The following items of PPE are essential pieces of equipment for almost any workplace. A respirator is designed to protect the lungs of those who wear them, by filtering out dust, debris and chemicals to purify the air. There are many types of respirators including everything from powered and unpowered options to those which cover half the face or the full face. Disposable basic face masks are ideal for all workplaces as they are affordable and will provide protection against a variety of potential risks in the air. If skin comes into contact with chemicals or harmful materials it could lead to serious injuries or illnesses. If your employees are faced with a potential hazard, effective personal protective equipment is essential. There are a variety of items of clothing available, which are designed to provide protection from chemicals, heat and even electricity. For most businesses, an essential for the workplace is a supply of safety gloves. Gloves will protect the skin from a wide range of chemicals, contaminants and even sharp objects. Plastic gloves are the most common type of protection, although cut-resistant gloves are also available depending on the work environment. The eyes are one of the most important areas of the body to protect, as a small accident can lead to long-term irreparable damage. Eye protection is available in many forms, from welding masks for use in factories to sunglasses for people who regularly work in the sun. Many workplaces require sets of goggles, to provide an effective layer of protection to the eye area. A strong set of goggles will protect the wearer from flying debris and dust. Adequately protecting employees hearing is vitally important, but many workplaces struggle to assess the need for hearing protection equipment. There are environments where hearing can change gradually, making it difficult to notice the increase in risk. Although there are options such as electronic ear muffs available, most businesses choose to invest in standard ear plugs or ear muffs. A set of ear plugs will provide quick protection from sudden loud noises, although ear muffs are better for situations where there is prolonged periods of loud noise. There are types of protective clothing required to protect the overall body from harm, such as overalls and padded clothing. Although, an essential item of PPE for many workplaces is high visibility clothing, which is available as jackets, vests, trousers or complete coveralls. The reflective properties of high visibility clothing will help the wearer stand out against their background. The items are commonly worn by those who work outside in environments such as roads, rail networks and airports. But they are often worn by key members of staff, to help them stand out in a large crowd so that they are easier to find. All employers need to supply PPE free of charge in situations where the exposure to hazards cannot be reduced to acceptable levels through control measures. Once you have determined which items of PPE you need, the next step is educating your members of staff on how to put the items to use. You might be a knowledgeable person with great organising skills and so you were asked to become a manager or take on a leadership role in the company. It does not mean you know everything. You still have a lot to learn. It is important for you to find a way to improve yourself as a leader. Your success is the success of the company. If you can steer the team towards the right path, this will benefit the business. Depending on the focus of your business or your specific job description, there are activities out there related to professional development. You can give them a shot. Who knows? You might learn something new that you can apply to the company as a leader. You might even find out that an idea you have always thought of as right is actually wrong. Take a look at what upcoming events there are and register. There have been leaders before you. They are the ones who can relate the most to what you are going through. You must listen to what they say. You don’t necessarily have to follow their advice, but it would be great to listen to other people’s perspectives. Again, their experience in the industry could be very helpful in making you a better leader. Learning is not just about getting new knowledge from people who are better than you or who have higher positions in society. It can also happen when you communicate with your target audience. You can learn a lot about what they want from you to improve your products and services. You can also learn about their purchasing behaviour so you can take it into consideration when designing your business plan. Joining trade shows where you can be with the target market and speak with them would help a lot. Don’t forget to bring an exhibition stand since you cannot speak with everyone. At the very least, they can get information from the stand that you have brought. Sometimes, the best teacher is yourself. You just have to take a pause and think. Reflect on what you have done as a leader and what your flaws in the past were. You can only move forward if you acknowledge those mistakes and create a plan for how not to do the same thing again. Just take a few minutes a day to do this as it helps a lot. There is still a lot of room for improvement as a leader. You just have to assess yourself and list down what else you have to improve. Consider other people’s feedback as well. Strategic leadership education will bolster your knowledge and essential skills so you will have the confidence to act with conviction. Learning on the job is one way to gain some experience however it’s only as good as the environment you’re in so to gain broader abilities to implement innovative strategies for your business try an online leadership masters program. Continuous education in any discipline is a good thing and keeping up to date with today’s transformative leadership can work for your business. Can you turn someone on your team into a good leader?